Drama Alum Leads Major Humanitarian Operation in Afghanistan | Department of Drama, U.Va. For many Americans, Afghanistan conjures images of war: al-Qaeda, the Taliban and the War on Terror. For University of Virginia alumnus Richard Danziger, Afghanistan has been home, on and off, for almost 18 years. 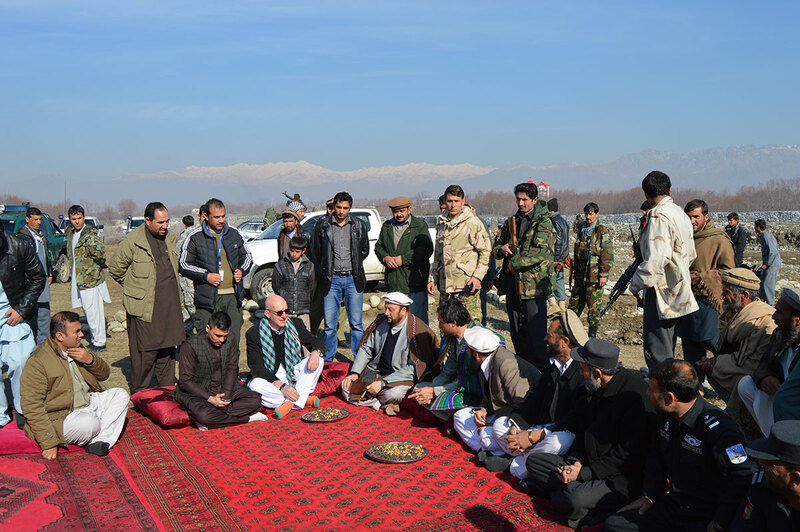 Danziger meets with local officials in a village receiving assistance from IOM.